With worldwide record sales of 70 million plus and a staggering 50 UK singles chart hits – including their stellar double A-sided entrée 'Food For Thought/King', it’s virtually self-evident to say that UB40 are much loved. Perhaps more pertinently for the group they are synonymous with British reggae and pop and have done more than any other act to popularise that particular sound. 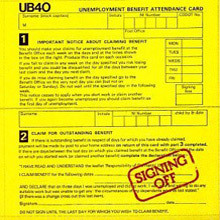 Having been around since 1978 to the present day, with a few key changes in personnel the boys from Birmingham captured the zeitgeist when they named themselves after the signing-on document for unemployment benefit, although it’s safe to say they’re in a position where they don’t count their royalties – they weigh them! Unusually they were also immediately successful and while not strictly part of the 2-Tone movement their mainstream popularity helped others in their wake just as the assistance of Chrissie Hynde’s band The Pretenders, who gave them their first tour break, promoted the cause of the affable Brummies. Some of their recordings, like the Labour of Love album of cover songs, featuring their version of Neil Diamond’s 'Red Red Wine', and '(I Can’t Help) Falling In Love With You' are household fixtures while even their independently produced debut Signing Off, recorded in a bed-sit on basic equipment in the summer of 1980 has long since gone platinum. Ali and Robin Campbell, sons of the noted Scottish folk musician Ian Campbell were always likely to pursue an artistic path. The two lads formed UB40 with a variety of seasoned players and novices. Amongst shared passion the Campbell's, Astro, Brian Travers, James Brown, Earl Falconer, Norman Hassan and Mickey Vertue were a love for Jamaican blue beat, ska, soul and classic, even easy listening pop. Their was nothing snobbish about them but they were determined and serious about embarking on a career as a band, rehearsing for months in an old school manner before playing their first gigs around Kings Heath and then making their first album, Signing Off. The follow-up, Present Arms, and third album UB44 provided the band with the basis for a stunning live set, mixing militant protest material with heavily reverbed beats like 'I Won't Close My Eyes' and 'Don't Do The Crime'. 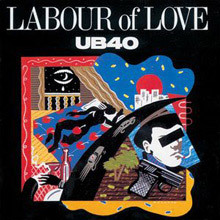 By 1983 UB40 were ready for a switch in direction and did just that on Labour of Love where they paid homage to their reggae roots on their first covers album (three more would emerge), tackling tracks culled from The Slickers ('Johnny Too Bad'), Eric Donaldson ('Cherry Oh Baby') and their signature song 'Red Red Wine', though they patterned their version after the JA interpretation by Tony Tribe, rather than Neil Diamond's original. Rat In The Kitchen features Herb Alpert playing Tijuana trumpet on the title track and also finds space for respected British vocal guests Jaki Graham and Ruby Turner. A thoroughly mature piece of work this, as is the self-titled UB40 disc from 1988. Here you'll find the marvellous 'Breakfast In Bed', another Ali and Chrissie duet that nods affectionately towards earlier reggae versions of the Muscle Shoals tune by Lorna Bennett and Sheila Hylton. The intriguing Geffery Morgan was all self-penned and features the smash 'If It Happens Again', still one of Ali Campbell's most charged numbers, albeit cloaked as a love song. Baggariddim (1985) showcased a different facet of the band as they invited guest artists to sing or 'toast' to reworked favourites. Amongst the participants are Pato Banton, Dillinger, Sister V and Ali's significant other back then Chrissie Hynde who memorably duets with the old man on 'I Got You Babe'. That single reached number one, as did its B-side 'Don't Break My Heart' once Campbell had added vocals. The second Labour of Love ll found UB40 fully established in America. The consummate retreads were all in place again, notably in a sparkling version of 'Here I Am (Come and Take Me)', by Al Green originally, though modelled here after Irving 'Al' Brown. Touches of calypso lend further colour to the lilting 'Kingston Town' while 'Homely Girl' is a reggae-soul hybrid that's impossible to resists. By the mid 1990s UB40 could do virtually whatever they pleased, such was their status. They could sing about Guns in the Ghetto and give the lyric first hand urban relevance but they could just as easily open up their virtual jukebox and revive Elvis Presley or The Paragons, band hero Ken Boothe and radical reggae rebels like Bob Marley and Peter Tosh. 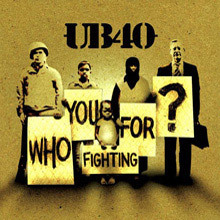 Following a hiatus Cover Up and Homegrown saw UB40 in more mellow mood, and few do that better, but Who You Fighting For? Is a no-holds barred social document up there with the early releases. TwentyFourSeven marks the final album featuring Ali Campbell and Mickey Virtue but wouldn't you know it, there was another bro' waiting in the wings - one Duncan Campbell who remains upfront for the UBees to this day. UB40's legacy, massive sales aside, has been to hasten the breakdown of musical and cultural barriers. British reggae doesn't always get the best press or the recognition it deserves but UB40 have highlighted the fact that it has long been a vital and thriving part of our musical culture. No doubt the band are delighted to have been nominated four times for the Grammy Award (Reggae category) but chances are they're even more chuffed at the fact they headlined the Reggae Sunsplash in Jamaica, an ultimate achievement that sits nicely next to their work as musical ambassadors, spreading the word to Russian and South American audiences, amongst others. You could say they are a band with benefits. Named after the unemployment form in England, UB40 was never the most creative or talented group of musicians. However, what they lacked in talent they made up for with an uplifting spirit and genuine affection for reggae music. This is never more apparent than on their breakthrough album, Labour of Love, in which they cover the songs of their heroes. They try to recapture the spirit of early reggae by singing songs originally released before the international success of Bob Marley. They manage to inject their own exuberance into every song; for example, they transform Jimmy Cliff's mournful "Many Rivers to Cross" into an uplifting song of empowerment. The song for which UB40 will always be known is their first number one hit in the U.S., "Red Red Wine," a cover of Tony Tribe's full reggae makeover of a Neil Diamond tune that miraculously turned the group into an international sensation. 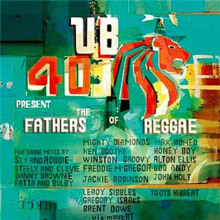 Although UB40 relies on standard reggae arrangements, this is their most enjoyable album as a result of the inspired vocal performances and the genuine joy they have for the music. A must-own for reggae fans. So ubiquitous was UB40's grip on the pop-reggae market that it may have been difficult for younger fans to comprehend just how their arrival shook up the British musical scene. They appeared just as 2 Tone had peaked and was beginning its slide towards oblivion. Not that it mattered, as few would try to shoehorn the band into that suit. However, the group was no more comfortable within the U.K. reggae axis of Steel Pulse, Aswad, and Matumbi. Their rhythms may have been reggae-based, their music Jamaican-inspired, but UB40 had such an original take on the genre that all comparisons were moot. Even their attack on the singles chart was unusual, as they smacked three double-A-sided singles into the Top Ten in swift succession. By rights, the second 45 should have acted as a taster for their album (it didn't, coming several months too soon), while the third should have been a spinoff (it wasn't, boasting two new songs entirely). Regardless, both sides of their debut single -- the roots-rocking indictment of politicians' refusal to relieve famine on "Food for Thought" and the dreamy tribute to Martin Luther "King" -- were included, as well as their phenomenal cover of Randy Newman's "I Think It's Going to Rain Today" off their second single. The new material was equally strong. The moody roots-fired "Tyler," which kicks off the set, is a potent condemnation of the U.S. judicial system, while its stellar dub, "25%," appears later in the set. The smoky Far Eastern-flavored "Burden" explores the dual tugs of national pride and shame over Britain's oppressive past (and present). If that was a thoughtful number, "Little by Little" was a blatant call for class warfare. Of course, Ali Campbell never raised his voice -- he didn't need to. His words were his sword, and the creamier and sweeter his delivery, the deeper they cut. Their music was just as revolutionary, their sound unlike anything else on either island, from deep dubs shot through with jazzy sax to the bright and breezy instrumental "12 Bar," with its splendid loose groove transmuted later in the set to the jazzier and smokier "Adella." Meanwhile, "Food" slams into the dance clubs, and "King" floats to the heavens. It's hard to believe this is the same UB40 that later topped the U.K. charts with the likes of "Red Red Wine" and "I've Got You Babe." Their fire was dampened quickly, but on Signing Off it blazed high, still accessible to the pop market, but so edgy that even those who are sure there's nothing about the group to admire will change their tune instantly. 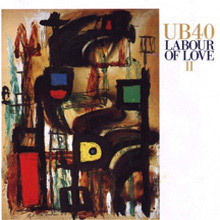 Labour of Love II is the ninth album and second covers album by UB40, released in 1989. The album contained two Top Ten Billboard Hot 100 hits - "Here I Am (Come and Take Me)" peaked at #7, "The Way You Do the Things You Do" peaked at #6 - and "Kingston Town" reached #4 on the UK singles chart. 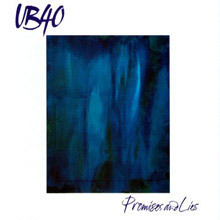 Carried by the hit "Can't Help Falling in Love," Promises and Lies finishes UB40's transition from a reggae band to an adult-contemporary band that plays reggae-pop. 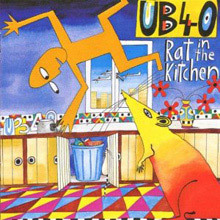 In the U.K., UB40 were major stars, and this album was their sixth Top Ten hit, featuring the singles "Sing Your Own Song," "All I Want to Do," and "Rat in Mi Kitchen." In the U.S., the group remained a developing act with a modest following, but they were only able to score a hit by covering a previous hit like "I Got You, Babe." Rat in the Kitchen did nothing to change that, although it was, as usual, a tuneful collection of reggae. 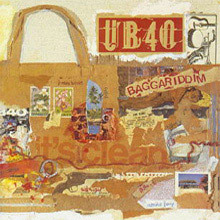 UB40 was faced with following up the surprisingly successful covers album Labour Of Love (which had topped the U.K. chart, and become their U.S. chart debut) with this album of original material. Their own songs were good, but no match for what then seemed a one-of-a-kind collection. "If It Happens Again," which went to Number Nine in Britain, sounded like a song by The English Beat, while the second single, "Riddle Me" (at Number 59), was a deeper reggae groove tune. It was a good set, but without a classic like "Red, Red Wine," it suffered from a certain anonymity, especially in the U.S.
UB40 scored their first Top 30 hit in the U.S. with a cover of Sonny And Cher's "I Got You, Babe," set to a reggae beat and sung with The Pretenders' Chrissie Hynde, heard on this mini-album. UB40s third album, not counting The Singles Album, which summed up their short career to date, or the Present Arms in Dub remixed dub version of the second album, was a step away from the brooding soulful reggae that one had come to expect from experiencing Signing Off and Present Arms. Despite the fact that by 1982 the 2 Tone sound of the Specials had vanished and other successful ska bands had moved on, notably Madness, UB40 released a mixture of horn-driven pop/ska and reggae songs that, in the main, had two major faults, a lack of melody, which never helps any style of music, and a loss of the sense of political injustice that had dominated the first two albums. It couldn't have been easy; all their vitriol had been directed against the government of Margaret Thatcher and how, in their opinion, the fabric of the country was systematically being destroyed, but late in 1982, the government was riding a wave of popularity, having won the war in the Falklands, and it was suddenly out of step to disagree with them. 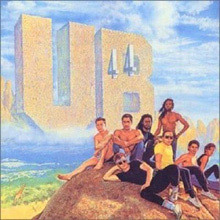 Although UB44 hit number four, the singles released were at a low point, all three of them -- "So Here I Am," "I Won't Close My Eyes," and "Love Is Here Is Alright" -- all failing to hit the higher regions of the singles chart, and without melody, UB40 songs tended to have little to offer. As "The Key" merged into "Don't Do the Crime" into "Folitician," it was difficult to appreciate that one song had ended and a new song had begun. A change of direction was called for, and after a live album released early in 1983, UB40 Live, the band found their way again big time with their next project, Labour of Love. The positive steps taken by 2003's Homegrown pay off on Who You Fighting For?, the solidest album from UB40 in well over a decade. Once again, relaxed love songs, covers, and plaintive observations on the everyday struggle are the ingredients, but this time it's the latter that makes the album worth noting for the casual fan and treasuring for the faithful. The title track's disgust and despair over a welcoming, bouncy beat recalls how UB40 and the English Beat used to be neck and neck in the lively revolution race while "War Poem" and "Plenty More" are pleasingly more Signing Off than expected. Just like that pivotal album, Who You Fighting For? features an Eastern-influenced highlight, the hypnotic "Reasons" with Hunterz and the Dholl Blasters. With a fine, miniature cover of Lennon and McCartney's "I'll Be on My Way" and a perfect take on Dennis Bovell's slinky "After Tonight," it becomes obvious that Who You Fighting For? isn't so much a "return to form" but a blend that ties their pop period to the revolutionary early years while looking toward the future. They've attempted this plenty of times and came up with spotty full-lengths, crippled by bad choices and tracks that sounded forced. Inspired and sincere the whole way, Who You Fighting For? is top-shelf UB40. 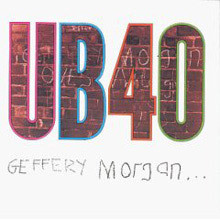 Recorded in 2002 – this album features UB40 with the likes of Freddie MacGregor, Mighty Diamonds, John Holt, Max Romeo and Toots among others. One of the highlights is the soulful and commanding vocal of Alton Ellis on ‘I Love it When you Smile’. The album is a homage to these legends.